Grotto offers hour-long open bars in NYC starting at $10. 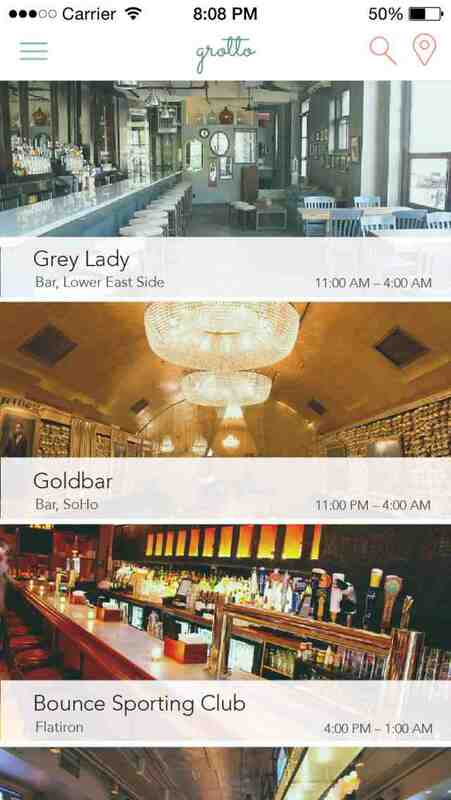 The app wraps curation, discovery, and cashless payment around The City's best drink deal. Instead of comparing happy hour prices and times, fire up Grotto and enjoy the happiest hour, anytime, anywhere. We are looking for beta testers in the NYC area. If you're interested in learning more email brett@grottoapp.com!